The ultimate West Coast retreat situated right on the point at the end of Sherman Lane offering a completely private environment. 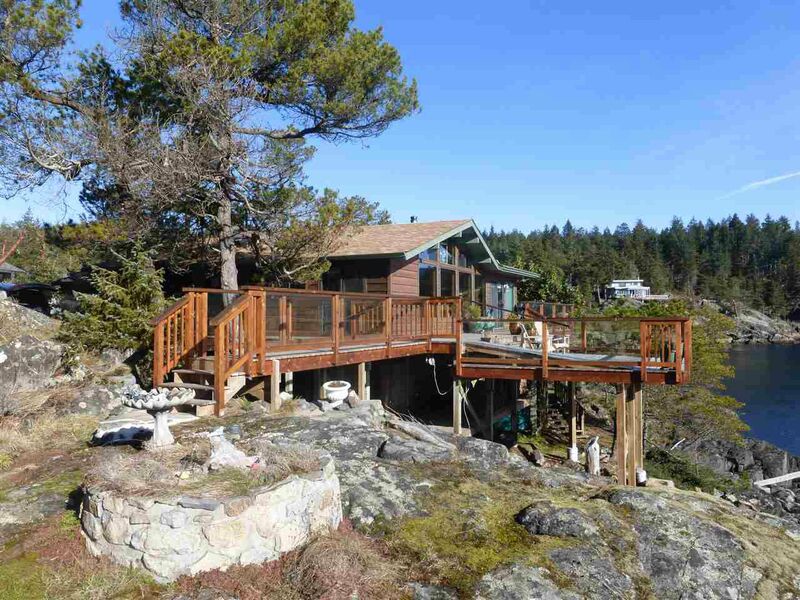 Relax and appreciate the awe-insiring 180 degree views of multiple shorelines from your massive deck. Southern exposure, large windows and vaulted ceilings make this home light and bright year round. Spacious master bedroom offers spectacular views of the ocean and an ensuite with separate tub and shower. The main floor has 3 generous sized bedrooms and 2 bathrooms, plenty of room for friends and family. As a bonus you will also find a large room on the lower level that can be used as a family room or put a couple bunk beds for the kids to have their own space. A truly unique offering, owned by the same family for the last 32 years.